Eating her ice cream cone! 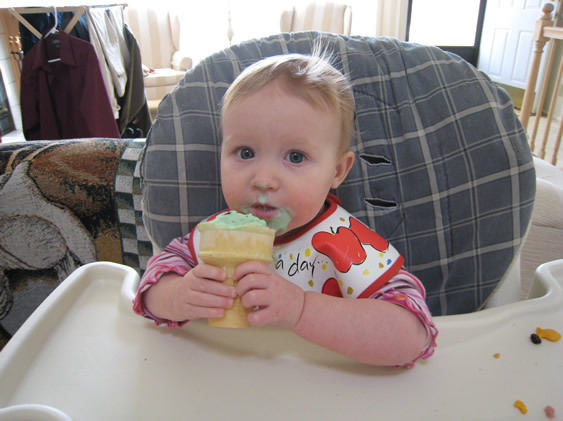 Kylie got caught eating Damon's ice cream cone! He didn't want to finish it (VERY RARE FOR HIM). She looks so guilty! She's not 1 for another week... Oh well! She very much has a sweet tooth, that's for sure!